Mali Mish - Day 174: Leaving Seaside for Pensacola. 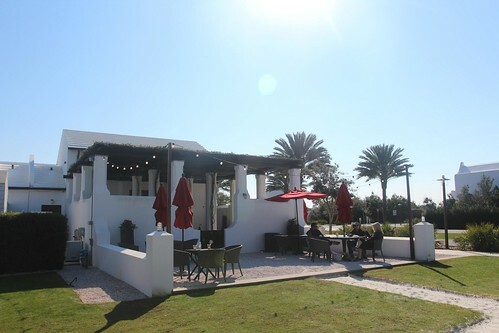 Before our 1pm checkout today we planned to meet Sean and Kristy down at a neat little planned community called Alys Beach. We drove through it on our way in and found the place fascinating. 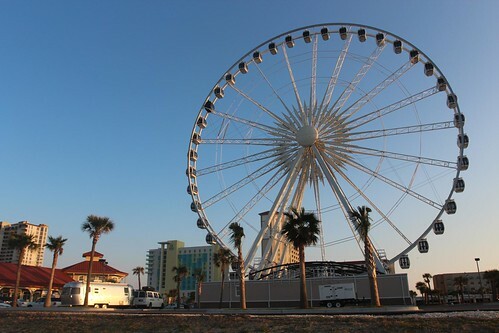 It is a planned community like Seaside except all of the structures were designed and built by the same company. It is dubbed by the planners as ‘Luxury Beach Living from the perspective of New Urbanism’. We met at a cool little coffee shop called Fonville Press. We noticed that they had a great outdoor playground right outside so the girls would have something to do while we hung out with Sean and Kristy for awhile longer before we left town. 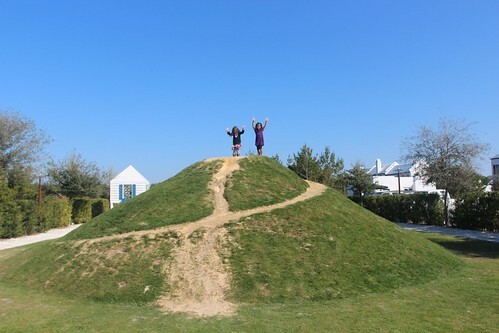 There is a little mountain that the girls loved playing on. With all of the fancy playground gadgets out there these days, nothing still beats a mound of dirt. We had yet another great time chatting with the Long Long Honeymooners. So much so that we had to rush back to the campground to hitch up so we wouldn’t be late for our 1pm check out. That is another benefit of staying at a state park campground, they don’t usually rule their checkout policy with an iron fist. We finally got out of there at 1:30 and no one raised any eyebrows. As we parted ways with Sean and Kristy, we hoped that we will cross paths again soon. Since they try to make a western pilgrimage annually, it is likely that it will happen. 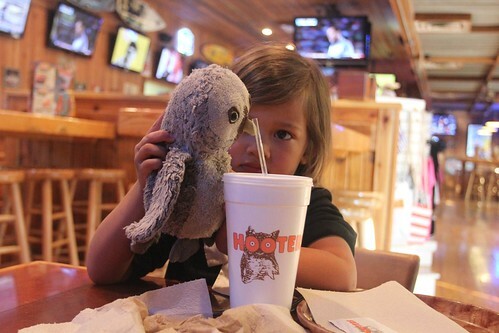 As we headed down the panhandle, I couldn’t help but to stop and eat at a Hooter’s before we left Florida. After all, Clearwater, Florida is where the ‘Delightfully Tacky yet Unrefined’ restaurant was founded. No one ever believes me, and for good reason I will admit, that I like the restaurant for its chicken wings. But the truth is that I really do. I have been known to order their wings for pickup and to go. 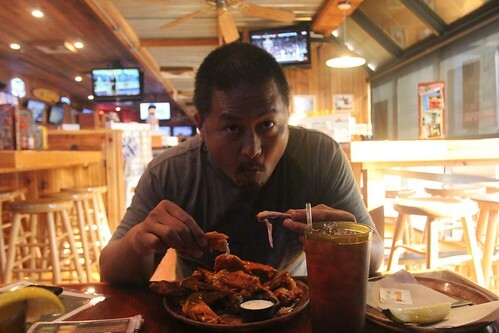 Having had wings from all of the other famous wing shops, I still like Hooter’s wings the best. 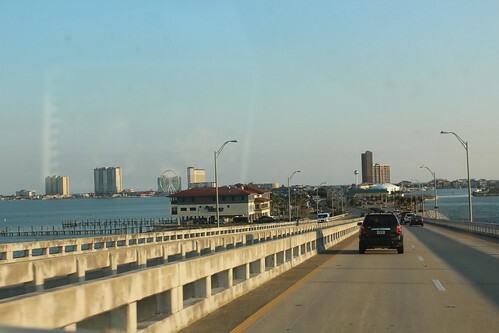 Today we are headed over to Pensacola Beach. Over the last couple of days, we have been corresponding with a family from Pensacola who has been contemplating a life on the road. Wanting to pick our brains for ideas, we agreed to meet them for a cup of coffee to help encourage them to move forward with their journey. 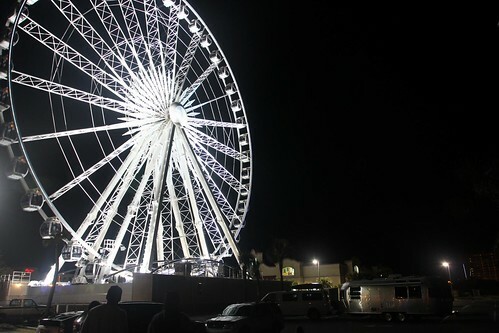 We crossed the bridge to Pensacola Beach and parked right by the 360 Pensacola Beach Observation Wheel. It has only been erected for less than a year and it was really cool to be able to park right next to it during this off season afternoon. Just as many other shops around here, the off season means that they have limited hours of operations. 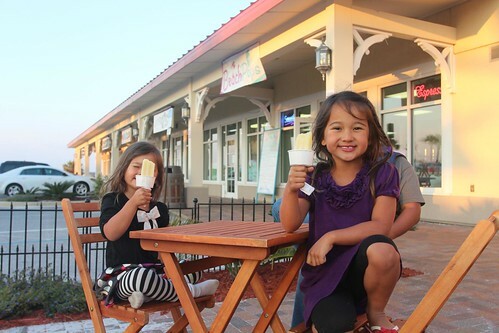 We were able to get the girls some organic beach pops before they closed for the day. 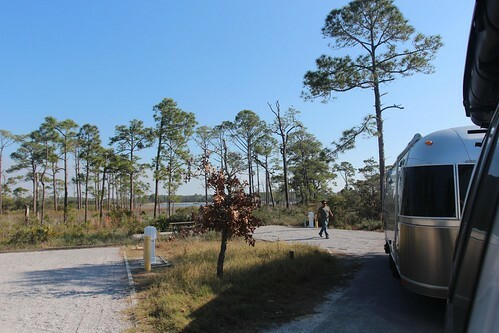 The couple we met are photographers who live here in Pensacola. 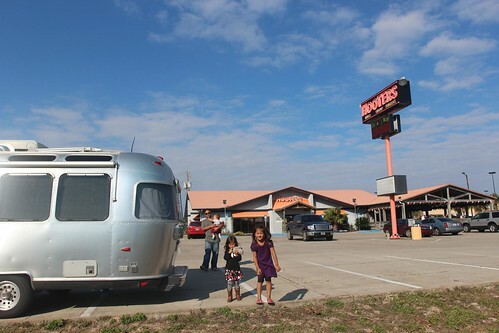 They are roughly about the same age as we are and have been seriously considering hitting the road in a RV. David and Jess have been self-employed and home school their son and daughter who are 16 and 15 respectively. Knowing that their son will be headed to college in a couple short years, they are determined to make the best of the next couple of years to be on the road. We were flattered to have served as a small inspiration to their future journey and will be keeping in touch with them online and hope we will meet up again on the road. 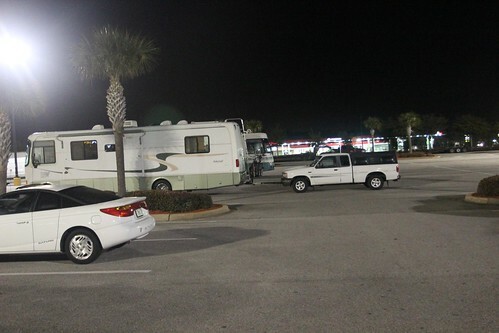 On our way out, we meandered our way further down the coast and found ourselves at a nice Walmart across the street from a Target which we will be doing some shopping at tomorrow morning before we leave. 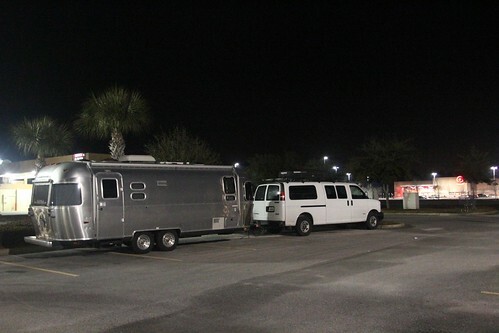 As usual, other RVs have already set up shop here. This guy in particular decided that letting his tow-behind stick out in the middle of the parking lot was a good idea. I’d wondered why some Walmarts stop letting people park overnight and this is giving me some ideas. 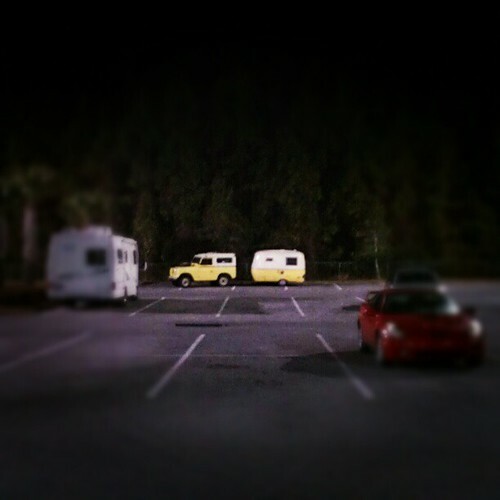 As we settled into our corner of the lot, we saw that same familiar two-toned Landrover pull into the parking lot. I think we are finally going to have to meet them assuming they are still around in the morning.